Ever put your headphones down, only to never see them again? Well, losing your favorite cans could be a thing of the past if Tile’s latest partnerships are anything to go by. The location tracking company has announced it is collaborating with Sennheiser, Plantronics, Anker, and Sol Republic, meaning its smart location tech can be built in to headphones and other portable devices from these brands. The company’s ‘Find With Tile’ technology has already appeared in the Bose Soundsport Wireless headphones and the Skullcandy Venue headphones, allowing users to find their lost headphones using the Tile app. It works by ‘ringing’ the lost device, causing music to play from the headphones increasingly loudly, helping you to find them more quickly. Tile says that Sennheiser, Plantronics, Anker, and Sol Republic will all release Tile-enabled products “over the coming months”. As well as announcing more product integrations, Tile has also revealed that it is working with a number of BLE (Bluetooth Low Energy) chip companies, including Qualcomm, Toshiba, Dialog Semiconductor and Silicon Labs. 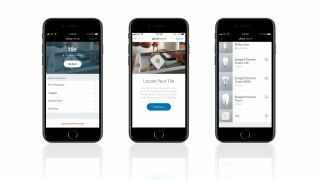 This means that products using chips from the aforementioned companies will feature the cloud-based Tile technology, making it easier than ever before for companies to enable the ‘Find With Tile’ feature in their devices. These partnerships could prove enormously lucrative for the location tracking company, best known for its keychain-style dongles, particularly if its technology becomes a standard component of BLE chips across the board. Not only that, but it could even make losing portable electronic items like headphones, smartwatches, and tablets a totally outmoded concept – and that’s got to be a good thing.